Now this I say and testify in the Lord, that you must no longer walk as the Gentiles do, in the futility of their minds. They are darkened in their understanding, alienated from the life of God because of the ignorance that is in them, due to their hardness of heart. They have become callous and have given themselves up to sensuality, greedy to practice every kind of impurity. But that is not the way you learned Christ!— assuming that you have heard about him and were taught in him, as the truth is in Jesus, to put off your old self, which belongs to your former manner of life and is corrupt through deceitful desires, and to be renewed in the spirit of your minds, and to put on the new self, created after the likeness of God in true righteousness and holiness. I note especially verse 17 "Now this I say and testify in the Lord, that you must no longer walk as the Gentiles do..."
Few words are subject to more adjectives than the popular term lifestyle. Almost every day we hear something about a healthy lifestyle, an expensive lifestyle, a Hollywood lifestyle, etc. 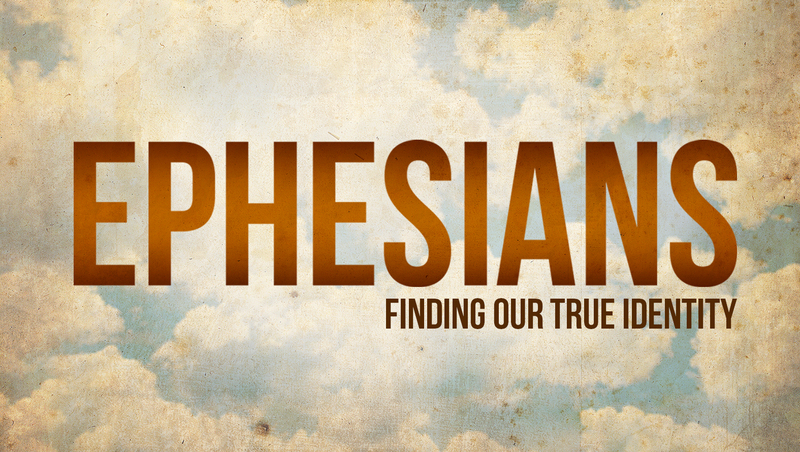 A popular television program many years ago touted the lifestyles of the “rich and famous.” In this Pauline passage from the book of Ephesians, we’re looking at a passage that describes a distinctively Christian lifestyle. In vv. 17–19 the apostle Paul speaks insistently that we no longer walk (behave, live, lead a lifestyle) like the world around us. In verses 18 and 19, he gives us a very vivid description of a culture that disregards God and His Word. It is futile, dark, alienated from God, ignorant, and blind. In verse 19, it is described as being “past feeling,” The Greek word means to lose the ability to feel shame or embarrassment. Our culture has given itself over to lewdness (behavior completely lacking in moral restraint, usually with the implication of sexual licentiousness) “to work all uncleanness with greediness.” This description is played out for us each night when we turn on our televisions. But the Bible warns that God intends for us to be responsible moral and spiritual people, but we are living in a world that no longer tolerates moral restraint or biblical values. In vv. 20–24, Paul tells us that when we become Christians, something different happens within us, something that separates us from the world and gives us a distinctive lifestyle. Paul goes on to describe the change in terms of wardrobe. At Calvary, we take off the old, sin-splattered rags of self-righteousness, we are bathed in the blood of Christ, and we put on a new wardrobe of holy living. A. Our Morality (v. 25). We are to be people of integrity. B. Our Mood (vv. 26–27). We’re all bound to become angry from time to time, but we must be careful about how we express that anger and how long we stay angry, otherwise we’ll give the devil a foothold in our lives. C. Our Money (v. 28). We must never come by one cent in a deceptive or dishonest way. Christians are to be hard-working people, earning money with the express purpose of sharing some of it with others. D. Our Mouths (vv. 29–30). The word “grieve” is a strong and emotional word. Paul could have said, “Do not displease or disappoint the Holy Spirit.” But the word “grieve” conveys emotional suffering and deep sorrow. When we engage in unwholesome talk, it causes emotional suffering and deep sorrow to the Holy Spirit who lives within our hearts. E. Our Magnanimity (vv. 31–32). Is there someone you haven’t forgiven? God has forgiven you of all your sins in Christ; should you not also reflect His compassion and forgive your enemy? In view of the world around us and the change within us, these are the demands upon us in terms of our morality, our moods, our money, our mouths, and our manner, our magnanimous hearts. As it is put elsewhere in Scripture: “I beseech you therefore, brethren, by the mercies of God, that you present your bodies a living sacrifice, holy, acceptable to God, which is your reasonable service. And do not be conformed to this world, but be transformed by the renewing of your mind, that you may prove what is that good and acceptable and perfect will of God” (Rom. 12:1–2).